Lock in a great price for Holiday Inn Ocean City – rated 8.3 by recent guests! The bed was comfortable and the beach was pretty. The staff was friendly. Property was right on the beach and very clean. Anything we needed the staff immediately assisted us. We couldn’t be happier with our experience. Everything was great. A weekend trip with grandchildren. They loved it. Loved it! The private balcony view was nice! Very clean! Comfy beds! Beds,and linens were extremely comfortable. The rooms were nice with a great view. Hotel is centrally located and maintained well. I have stayed in ocean city many times, do yourself a favor and just spend the extra money for a decent place. The room was spacious and the beds were comfortable. Large spacious rooms, great pool and beach access. 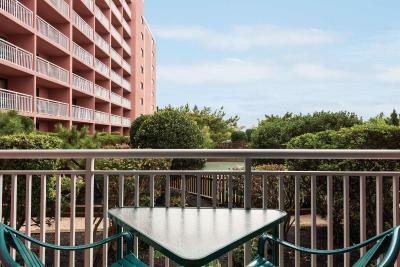 Holiday Inn Ocean City This rating is a reflection of how the property compares to the industry standard when it comes to price, facilities and services available. It's based on a self-evaluation by the property. Use this rating to help choose your stay! 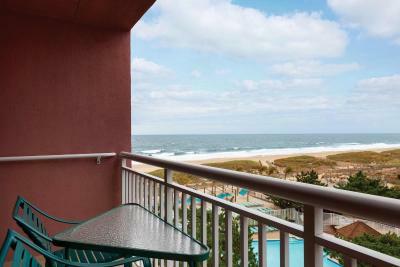 One of our top picks in Ocean City.Right on the beach, this hotel features a private balcony in every room and 2 swimming pools. The Ocean City Pier Amusement Rides are a 10-minute drive away. 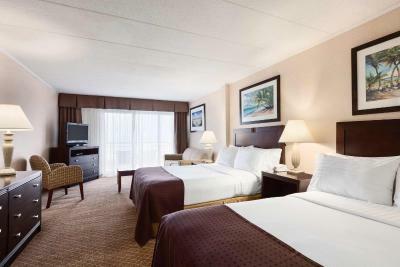 The Holiday Inn Ocean City features rooms with free Wi-Fi and a sofa bed. They also have a full kitchen with a refrigerator, microwave, stove, and oven. Select rooms have views of the ocean. Guests can relax in the indoor hot tub after working out in the fitness center. The Ocean City Holiday Inn has an on-site tennis court as well. Touch of Italy, on site, serves authentic Italian cuisine, from pasta and pizza to handmade mozzarella cheese and crispy bread. Ocean City's Original Pool Bar and Grill offers swim-up bar service, a menu of light fare, live music and hammocks. Lighthouse Sound Golf Course is 3 miles from the hotel and additional golf courses are within a 15-minute drive. Jolly Roger Amusement Park is 2 miles away. Midtown is a great choice for travelers interested in relaxation, seafood and restaurants. 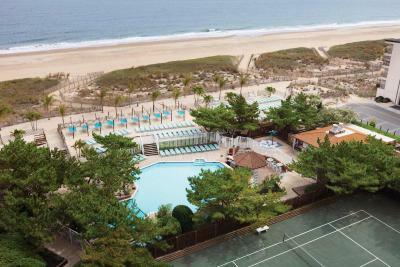 When would you like to stay at Holiday Inn Ocean City? This ocean view room features a private balcony, a kitchen, and a sofa bed. This ocean front room features a private balcony, a kitchen, and a sofa bed. This room features a private balcony with garden views, a kitchen, and a sofa bed. This direct ocean front room features a private balcony, a kitchen, and a sofa bed. This eastern ocean front room features a private balcony, a kitchen, and a sofa bed. 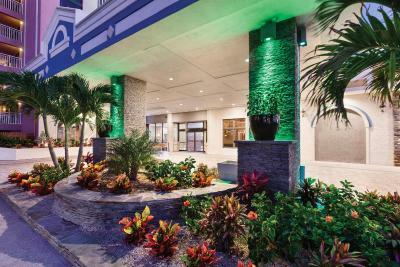 Hotel surroundings – This neighborhood is a great choice for travelers interested in relaxation, seafood and restaurants – Check location Great location - show map Guests loved walking around the neighborhood! House Rules Holiday Inn Ocean City takes special requests – add in the next step! The maximum number of total guests in a room is 6. Holiday Inn Ocean City accepts these cards and reserves the right to temporarily hold an amount prior to arrival. For any room including breakfast, the rate includes a coupon redeemable for breakfast in the hotel restaurant with a limit of USD 20 per room per day. Old building , renovation needed . Rooms are nice an spacious don’t match the hallways an elevators that are old an rundown ,just need updating. Baby pool has paint chips that come off . Location was great , rooms nice size an clean . Love the view in room kitchen and comfy beds . It definitely wasn’t the cleanest, and it was certainly way outdated. The restaurant onsite was horrible, and my children did not eat for free as advertised. There were dirty dishes in the hallway that were there for all 3 days we were there. There was garbage outside and all the outside doors remained unlocked at all times. Our room had clearly been broken into in the past, as you could see the damage done to the door and wall. This made it so my one year could easily open the door (even when it was locked), on his own. Everything just seemed very trashy, which is not at all how the website portrayed the hotel. The refrigerator in room 423 did not work well. Three people including myself tripped over the carpeted ramp to the wheelchair accessible room (#415, I think) on the 4th floor. It need to to be marked appropriately. The staff sucked. Rude and unfriendly. They didn't seem to want to be there. From the second you walk in the front door they make you feel like an inconvenience to them. If i owned this hotel I would immediately fire everyone at the front desk. If you are not going to be hospitable get the he'll out of the hospitality business. No breakfast available, most restaurants in the area were closed for the season.